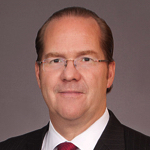 Sean T. Prosser is a member at Mintz, Levin, Cohn, Ferris, Glovsky and Popeo, P.C. Sean is a highly experienced litigator with significant experience defending clients facing shareholder litigation, SEC, FINRA, and DOJ investigations and enforcement actions, and other civil and criminal government and regulator investigations and enforcement proceedings. His clients have included public and private companies, officers and directors, board committees, broker-dealers, banks, investment advisors, hedge funds, certified public accountants, individual stock traders, and public officials. A former SEC enforcement attorney, Sean has defended many clients in securities investigations and white-collar actions initiated by regulatory authorities across the country and with a focus on California, including the US Securities and Exchange Commission (SEC); US Department of Justice, including Department of Treasury; FINRA; NYSE, NASDAQ, and other stock exchanges; California Department of Business Oversight; and the Public Company Accounting Oversight Board (PCAOB). Through his substantial securities litigation practice, Sean regularly defends public companies and their executives facing shareholder lawsuits and derivative actions in state and federal courts across the country, including in the Delaware Court of Chancery. Prior to joining Mintz, Sean led the Southern California white collar, government investigations, and securities litigation practices of a leading international law firm. He was also a partner with another international practice as well as with a leading global intellectual property law firm. Sean started his career as an attorney in the SEC’s Office of Enforcement and as a law clerk in the SEC’s Office of Broker-Dealer Enforcement. He is frequently quoted in national legal and business publications on various topics, including SEC investigations and related legal matters.